A Russian next-generation T-50 fighter jet somersaulting on a test flight. An advanced prototype of Russia's fifth-generation Sukhoi T-50 fighter aircraft caught on fire attempting to land at an airfield outside Moscow on Tuesday, in a blow to one of Russia's prestige defense projects, Sukhoi's parent company, United Aircraft Corporation, said in a press release. No one was injured in the accident, which saw smoke and flame billow out of the front of the engine and caused visible damage to the exterior of the aircraft. "This incident will not impact the schedule of the T-50 test program," the release said, adding that an investigation into the cause of the accident had been launched. 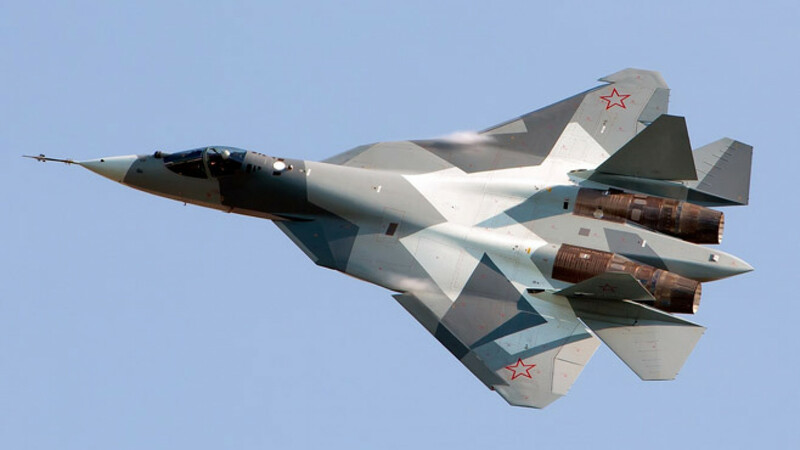 Designed by the legendary Sukhoi Design Bureau, the T-50 is being developed as part of Russia's fifth-generation fighter program — a term reserved for the most cutting edge combat aircraft developed in recent years — to replace Russia's Soviet era-Sukhoi 27 and MiG-29 fighters. The first T-50's test flight took place in January 2010 at Komsomolsk-on-Amur in Russia's Far East, the site of Russia's biggest aircraft plant. Russia hopes that the T-50, its first post-Soviet fighter, can be deployed by 2016 and attain parity with the U.S. F-35 and F-22, currently the only fifth-generation fighters in service anywhere in the world. Similar aircraft are also being developed by China, India, and South Korea, and a number of other nations have said they would begin developing their own fifth-generation planes. The testing program for the T-50 is run out of the Flight Research Institute in Zhukovsky, outside of Moscow, where four of the aircraft are stationed and evaluated for their aerodynamics, stability and control characteristics, airframe strength, and how their complex systems and mechanisms mesh, Interfax reported Tuesday. Fifth-generation fighters such as the F-35 and T-50 offer greater stealth over their fourth-generation predecessors — jets developed from 1980 to now — as they are more maneuverable and their bodies, constructed from advanced composites, do not give off radar signatures.